How to make phone conversations with customers better! Despite the introduction of all sorts of new technology, a myriad of new channels and a host of self-service options, when things go wrong, get complicated or become difficult for customers most of them will want to pick up the phone and talk to another human being. That behaviour makes phone conversations an integral and hugelyimportant part of the whole customer experience, whether the conversations takeplace at the beginning (sales), middle (service) or the end (renewal) of thecustomer’s journey. So, in the midst of all the new and exciting technology that is emerging, it’s exciting to see some technologists turning their attention to phone conversations and how companies can use advanced technology like artificial intelligence (AI), behavioural science, analytics and deep learning to help companies improve the conversations they have with their customers. Here are a couple of examples of two firms that I have come across in the last few weeks that are using advanced technology, in different ways and at different parts of the customer journey, to help improve conversations with customers. The first is Cogito,an MIT spin-out, that was co-founded by Joshua Feast and Dr Alex Pentland (MITMedia Laboratory and the author of the best-selling book: Social Physics). Based on Dr Pentland’ssocial signals research, Cogito has developed AI technology that deliversreal-time emotional intelligence feedback to customer service professionals. The way their technology works is that whilst an agent is on thephone with a customer, the software analyses the conversation and offersreal-time practical guidance, via a little text message type screen on their desktop,on how the agent can make the conversation run more smoothly. For example,during the conversation the software might tell the agent if they are speakingtoo fast, if they are speaking too much, if they are interrupting a lot, ifthey are not listening, if they are adopting the right tone etc etc but it willalso tell them what to do about it too. In terms of the sort of impact the technology is having,Cogito worked with Humana,a health insurer, on their senior care service programme. Initially, theypiloted their software with a small group of agents and found that those thatwere equipped with the Cogito software generated a 28% higher customersatisfaction rate over the course of 3-4 months than those that were notequipped with the software. Moreover, over the same time period, the employeeengagement rate for the pilot group improved by 66%. The second company is ExecVision,that was co-founded by David Stillman and Steve Richard, based on their ownexperience and frustrations with the performance of sales and customer successteams. As a result, they have developed a call tracking/voice analyticsplatform that is being used by customer success and contact centre teams toprovide insights, training, monitoring and improvement of inside sales staff. What that means, in practice, is that their platform is usingusing artificial intelligence to identify speech patterns and extract meaningfrom calls. The calls are also scored across a number of areas and areas forimprovement and coaching are identified. 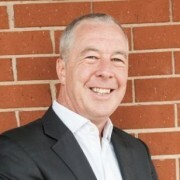 In terms of what sort of impact their technology is having,ExecVision’s clients report a range of benefits including 25% more revenue inless than 90 days for one sales team, 35% increases in productivity andconversion for another whilst another team reported a 144% year on year growthin their sales pipeline. Now, both firms’ technologies are both exciting and offer companies fast ways of helping companies have better conversations with their customers. But, what their applications also show is that in a world where it can feel like technology’s sole aim is to replace people, their technologies show what can be achieved when we use the latest technology to enable people.